So if you do want to be a Brangelina, get some help from our ever endearing cupid this year. Cupid’s gone high tech and is now shooting love arrows from an app. This Valentine's Day there is no reason to mope around when this could very well be best opportunity in the year to find someone. If successful, it could lead to many other firsts as well :x For those who already have a partner in crime, we also have the perfect thing to help amp up the romance meter! What is it: One of the most talked about dating apps in Singapore and some say Batam. Paktor loosely translates to 'going on a date' in Hokkien. 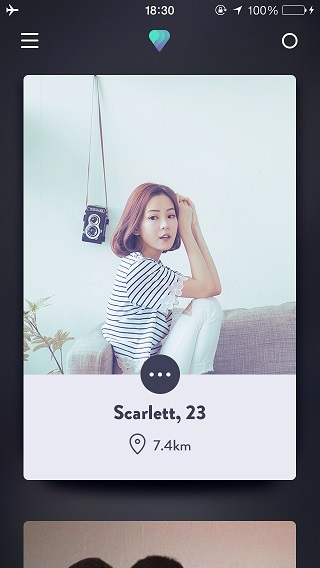 The local dating app is an innovation by a group of 20-something likeminded individuals who want to help solve the pains of meeting new people and making connections. How to use it: First things first. You need to let the app know what you are looking for, there are options to filter by distance, country, age, height, education level and even occupation. The app then uses these conditions and starts filtering its data base to find a perfect match for you. So if we were you, get your photoshop genius buddy to do some photo magic for your profile picture. Just simply swipe the picture of a match to the left if you are not interested or swipe right if you are. If the match you are interested in, is interested in you too, then you will get the chance to start chatting and who knows? Maybe hit it right off! For those who prefer to be a little more upfront and if you really like your match, you could also send a direct message. We’ve tested it and this is our verdict: Took close to no time downloading the app. But it took a load of time trying to get the filters done up. Two hours and then four hours went by, no response from any of the matches. An average of 200,000 matches a day and we are not one of the matches? What luck is this? Mehs. 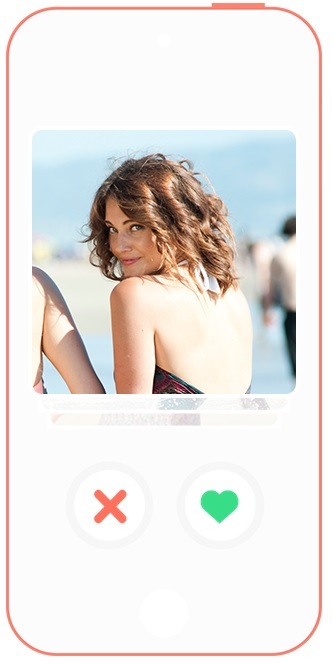 What is it: Tinder is an international dating app that works 90% like Paktor. How to use it: Like Paktor you have to fill up your filter options first. Swipe a potential match left if it’s a no and swipe right if you are interested. The matching process works the same as well. So chose the best picture you possibly can as your display picture! The down side is that Tinder doesn't have that many filtering options, so you might be swiping awhile. Only because Tinder has been in the dating app scene a little longer than Paktor, they have a wider International membership base. This translates to more chances to find Mister or Miss perfect in any continent! We’ve tested it and this is our verdict: The rumours are true. Tinder is exactly what you have heard and so much more. We’ve got an interest match within the hour. However, instead of wanting to know us for all my curves and imperfections. Our match only wanted to know how flexible and active we are. What is it: Don’t quite know what you are looking for in a prespective match but looking for one at the same time? Well, that’s essentially what Love Out Loud is all about. Fill out a super simple questionnaire in the preferences page, then sit back and wait for the app to do its thing! What does it do:At 12 noon everyday you will be given a match and there after the same rules of all dating apps apply; only when both matches are interested would you get to talk to each other. If not, well there is always another 12 noon tomorrow. We’ve tested it and this is our verdict: Be smart, download and activate the app at 11.45am. We were not so smart and had to wait an entire 21 hours before we could even do anything. It would be nice if the website made it absolutely clear that there was only going to be one match at 12 noon daily. Well, the match was rather accurate but we don’t know how long we can deal with just ONE MATCH A DAY when other apps provide so much more. We guess they are trying to go for quality over quantity? What is it: Lovestruck is the one dating app that has been going around seven of the world’s busiest cities, from New York City to Sydney and now Singapore. What does it do:If you think that Paktor has a ton of filters to help you find your perfect match, wait till you listen to this! In Lovestruck’s advanced settings page it allows you to literally micro filter your match from height, hair or eye colour, nationality, ethnicity, religion, income, smoking habits, interests in sports, events and even music. You are definitely bound to find someone out of the 75,000 members they have in Singapore. To make things even easier Lovestruck is available on both computer and app, meaning you can monitor your profile anytime and on the go! What makes lovestruck really stand out from its competition is that they periodically organize mass dating or networking meet ups. 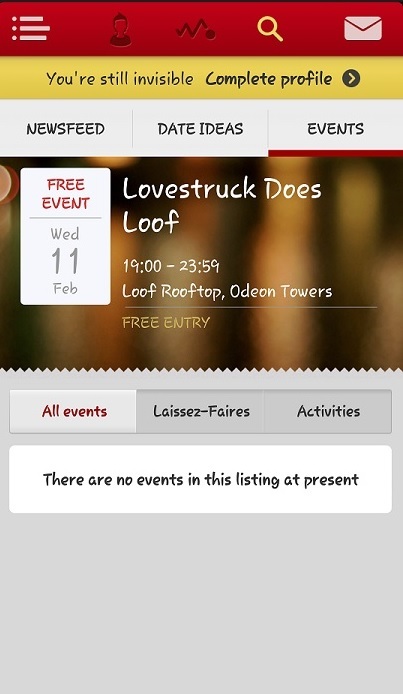 Like in the image below, the next event would be held at Loof this coming Wednesday. So if you are a die heart romantic and prefer the old skool way of meeting someone new (face to face), head on down to the event and mingle! Perfect timing if I might say so myself, meet someone on Wednesday and have the first date on Saturday! We’ve tested it and this is our verdict: Finally an app that is different; we were getting bored at all the promises. Somehow this app feels a little dated, but dated in a good way. There are many options to mingle and get to know new people rather than just a swipe left or right. Really love how there are actual live events where members can actually meet up in person. 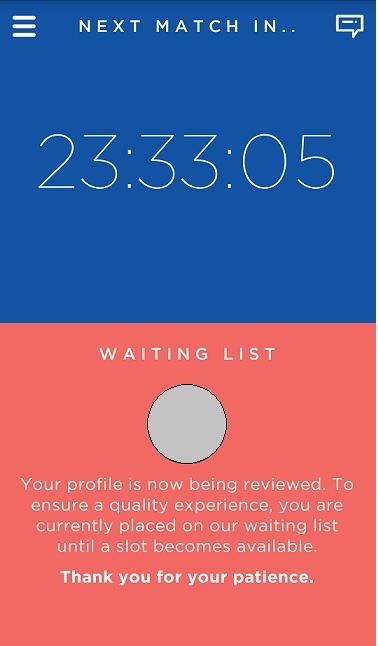 This may actually be the app where you find your mate! What is it: A dedicated private chat app that can only be used between you and your special someone. Imagine whatsapp, your picture gallery and calender all rolled into one just for you and bae. What does it do: LoveByte helps you count the days since both of you have met, chat with each other (it even has its own comprehensive list of emoticons), allows you to share notes, photos and even important dates (this is a blessing in disguise if updated regularly). For those who prefer to have a little more privacy or have nosey friends, you can password lock the app. The most unique feature gives you information on your partner's location, last seen status, battery left and the weather conditions on their end. These features are supposed to bridge the gap on trust, however it somehow spells borderline stalker-ish vibes to me. Thankfully, the inventors of this app also gives you the option to turn them off. 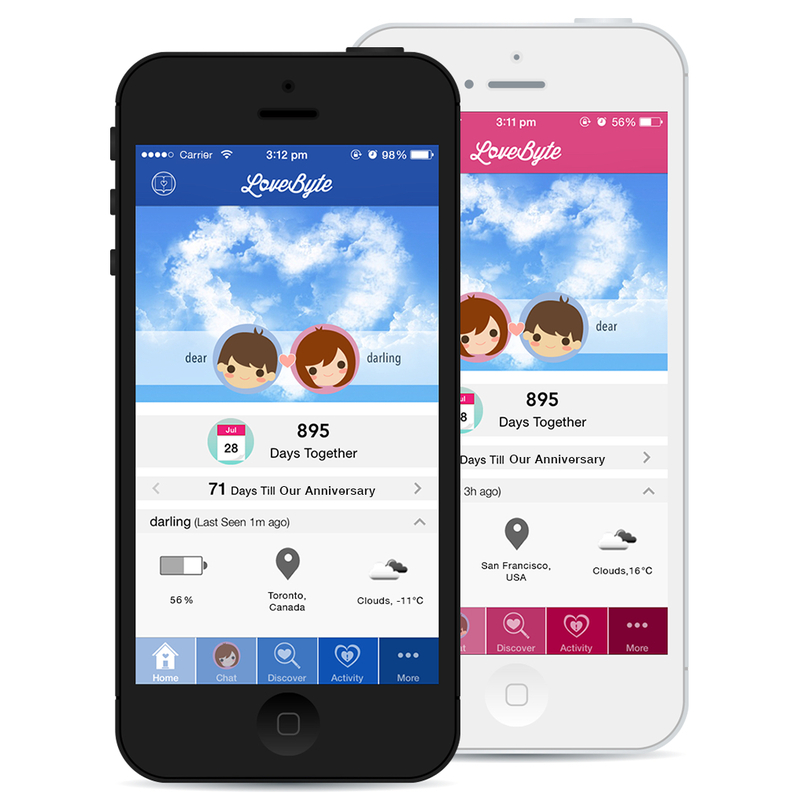 With over 237,000 downloads Lovebyte is the next big couple friendly app! For the singles, don't let this Valentine's Day go to waste! Your valentine may just be legitly around the corner and with these apps, the perfect Valentine's Day is a little closer! For the couples, amp up the romance and make this Valentine's Day plans so memorable your partner goes on talking about it for the next few months. Love may come in many different ways and forms. So even if you can’t find your Brad to Angelina, gather that group of mates for dinner and have a blast. Who knows? Maybe in the near future there could be our own local version of rent-a-date! Ka-ching! Best of love luck fellow techies!